In 1901, the Alger-Sullivan Sawmill opened in Century. The town quickly boomed, as the mill became one of the most productive mills in the South. To honor its heritage, the people of Century created Sawmill Day, an annual celebration of the town, held the first Saturday in May. In 1989, Century was declared a historic town. 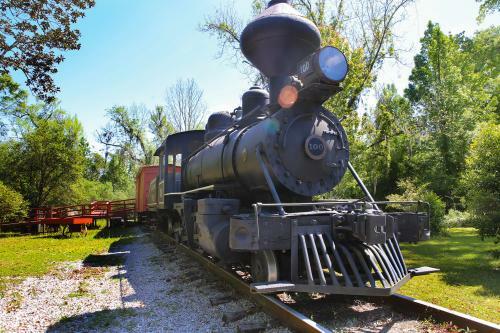 Today, plans are underway for its restoration and redevelopment, but you can still explore the historic district along Jefferson Street to see buildings and homes well over 100 years old. 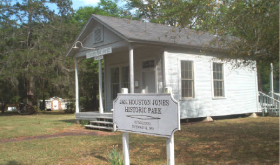 While there, stop into the James Houston Jones Historic Park, home to three museums operated by the Alger-Sullivan Historical Society, to learn about Century’s yesteryears. Historical research, unique artifacts and writings are available for viewing. All are open to the public, free of charge. Stay for lunch and head over to Mama Ruth’s Café for some Southern staples like po-boys, gumbo, red beans and rice, or southern chicken salad. 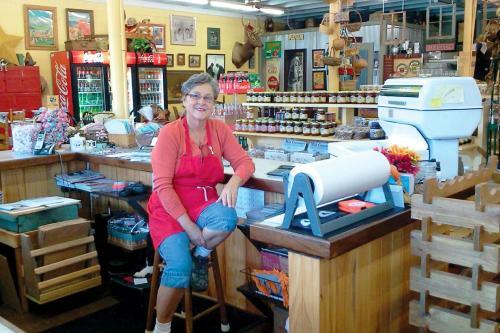 Mama Ruth’s is located in the historic Hudson’s Grocery building - established in 1897. There you’ll also find a bakery and artisan booths, so shop around for antiques and collectibles while you wait on your meal. For a quick lunch bite, the nearby Sandwich Deli makes a mean Philly cheesesteak, and don’t miss their ice cream. Or, breakfast is always on the menu at the Southern Panhandle Cafe. If traveling with young children, stop at Showalter Park - named in honor of Century’s own Buck Showalter, former MLB manager of the Baltimore Orioles. The park offers a splash pad, a playground, ball fields and more amenities for the young’uns needing to release some pent-up energy after a long day’s travel. For the outdoor adventurist types, Century also boasts Lake Stone Campground, a 100-acre campground and boat launch that has 77 campsites with electric and water hook-up, overlooking a freshwater lake. 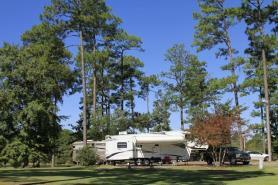 There is an indoor pavilion for public use, shower and restrooms, a picnic area, a playground and fishing pier. Fishing is a favorite activity for campers and day users. The friendly folks of Century invite you to stop and stay awhile.